Integrated Systems Events organises, manages and develops leading business-to-business events for the professional audiovisual, electronic systems integration and IT industries. 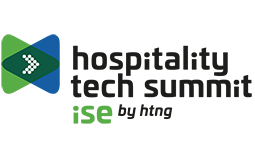 Integrated Systems Events was established in 2003 as a joint venture of two trade associations – AVIXA and CEDIA – and has continued to grow year-on-year. With employees engaged in sales, operations, marketing and content development across Europe, Integrated Systems Events is a truly international company with a global reach. Its flagship event, Integrated Systems Europe, is the best-attended AV and systems integration trade show in the world, attracting over 80,000 attendees and almost 1,300 exhibitors to its Amsterdam location every February. The annual Smart Building Conference brings together leading experts in the residential and commercial ‘smart building’ industries and takes place on the day before ISE begins. Integrated Systems Events continues to expand – with partner, invidis consulting, it hosts successful DSS conferences in Europe and Russia. Plus, it has recently added the VR Days festival and XR Summit to its annual schedule. The former is a three day event taking place in Amsterdam in October that explores creative solutions for the virtual, augmented and mixed reality marketplace. 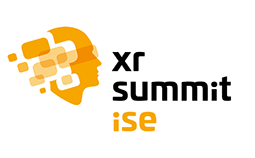 The latter is a half-day XR B2B conference that takes place during ISE. The Digital Signage Series of conferences are regional events held in Europe, Russia and Latin America which explore the business, technology and strategy of the Digital Signage and DooH (Digital-out-of-Home) marketplace. The Digital Signage Summit Series is co-produced by invidis consulting and Integrated Systems Events. Established in 1939, AVIXA has more than 11,400 enterprise and individual members, including manufacturers, systems integrators, dealers and distributors, consultants, programmers, live events companies, technology managers, content producers, and multimedia professionals from more than 80 countries. AVIXA members create integrated AV experiences that deliver outcomes for end users. AVIXA is a hub for professional collaboration, information, and community, and is the leading resource for AV standards, certification, training, market intelligence, and thought leadership. CEDIA is the international trade association and central touch point for 3,700 member companies who design, manufacture, and install technology for the home. CEDIA members deliver technology solutions that allow people to have their best moments in life from the comfort of their own home. Life Lived Best at Home.